For more than 70 years, Coles has offered impeccable flooring selection and customer service to San Diego residents. Decades of exceptional attention-to-detail have earned us the trust of the San Diego community. Now, we’re expanding our award winning business line to the world of bathroom design. Our San Diego bathroom remodeling team has years of experience with both kitchen and bath remodeling and design, which means you can rest assured your project is in good hands. From original concept, all the way through to installation and completion, Coles experts will guide you every step of the way. For every stage of your bathroom remodel, you can rely on the same incredible service Coles has provided since 1947. Free in-home consultation – Our remodeling experts will first meet with you to discuss your project, understand your goals and take detailed measurements. The Team Approach – Our team of construction experts and skilled designers will meet to brainstorm ways to best help you realize your perfect remodeling project. Next, you’ll visit our Bathroom Design Showroom. Using the latest design software, we’ll show you a 3-D model of your new bathroom so you can start to see your vision come to life. Together, we’ll look at all possible product options keeping your budget utmost in mind. 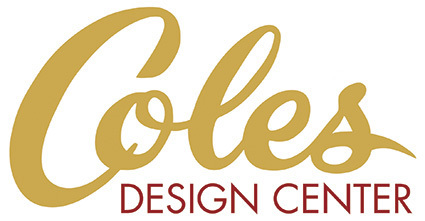 At Coles, you’ll see and touch countertops, cabinets and fixtures for every style and price range. Among our selections? High-end Italian carpentry, and reliable US-made framed cabinets. And of course there’s the variety of options in fine flooring that Coles is known for. What’s more, we offer a fixed price estimate. Once you sign your contract, your price remains the same unless you remove or add items. We’ll keep your project on track with a written schedule of work and professional oversight, and for complete peace of mind, you’ll also get a 5-year warranty on all workmanship. Looking for a little inspiration? Check out our before and after photo gallery. Banish the stress of bathroom remodeling with Coles. We’ll help bring your dream home to life with in-depth consultations, careful design, and consistent communication. We’ll introduce you to the design options that will help you stay on budget and we’ll supply the expertise you need to complete the structural work of remodeling. No matter the reasons behind your bathroom remodeling plan, we’ll offer you a step-by-step solution that ensures your upgrade is quick, smooth, and effective. Our attention-to-detail takes the pain out of remodeling. Your home is your sanctuary — it deserves nothing less than top notch professionalism and expertise.